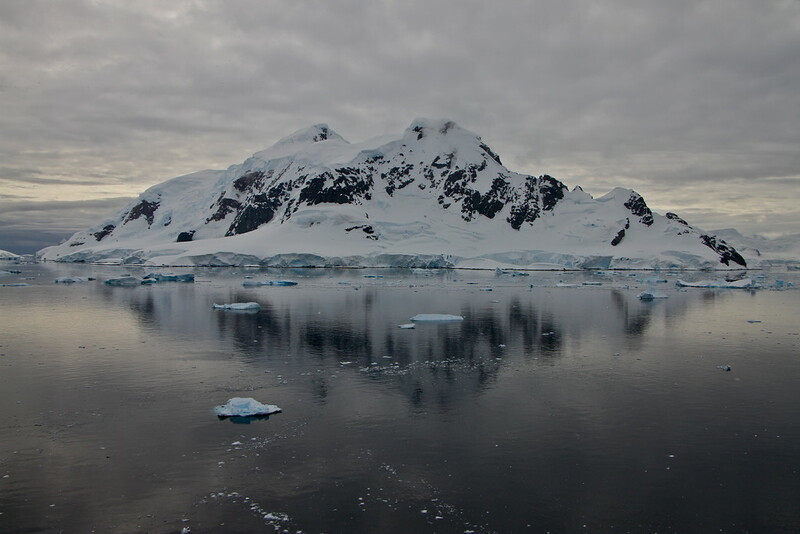 Antarctica has so much to offer, much of which was encapsulated in our third day on the continent. Following on from our second day in Antarctica, spotting our first seals, watching our first penguins up close and cruising through the iceberg graveyard, we were excited to see what treasures Day 3 would bring. First up was a visit to a small island on the Peninsula to spend some more time admiring our favourite locals of Antarctica – the penguins! This was an extra special experience as this was the moment we witnessed first hand the famous stone stealing game! 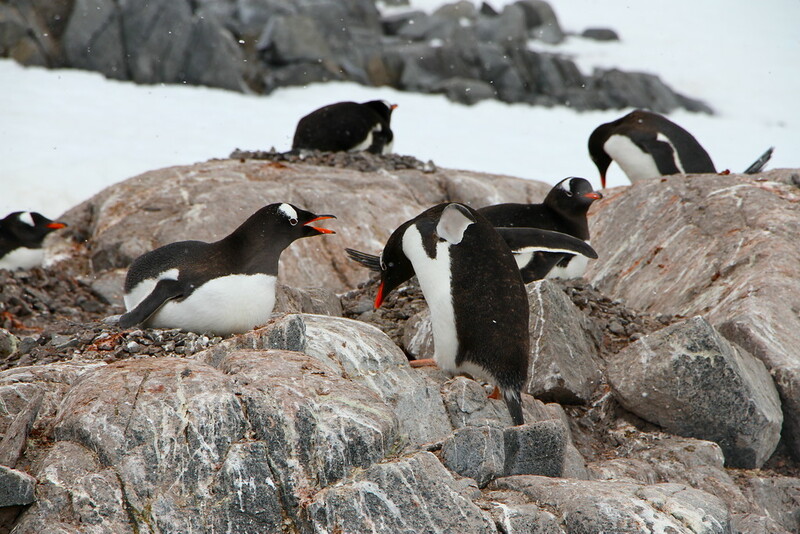 Check out our stone stealing penguin video to see footage of one cheeky Gentoo penguin causing a stir in this colony! 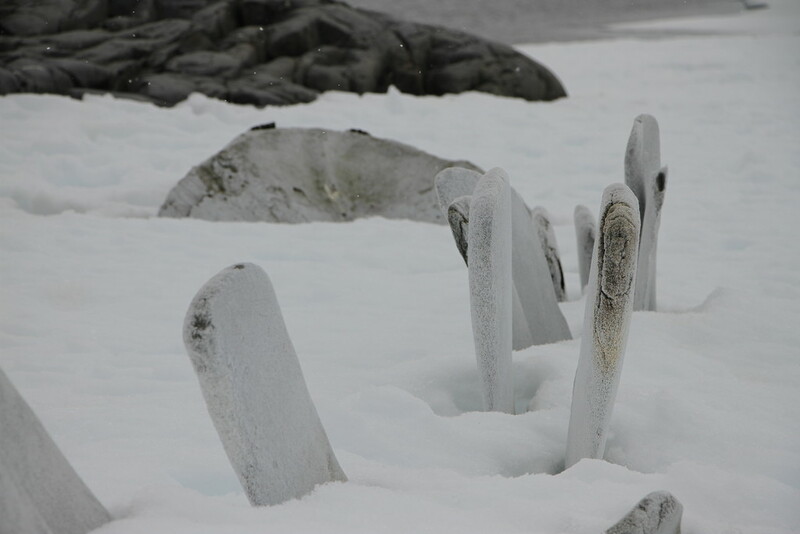 A short walk along the island from the penguin action, we also saw these colossal whale bones, remnants of Antarctica’s commercial whaling era. Having seen the magnificence of humpback and minke whales swimming around our boat, we were glad the era of whaling on this particular island in Antarctica is long gone and these bones were relics of old bygone times. 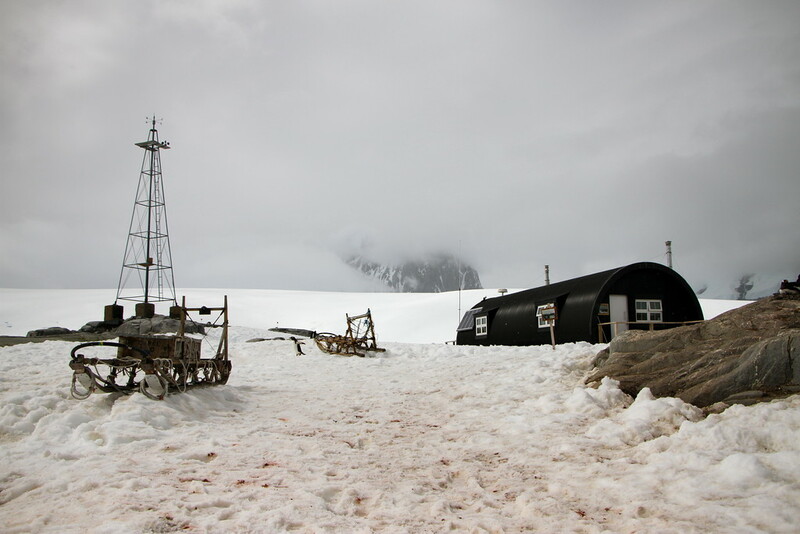 Now very close to British Antarctic Territory, it was time for us to visit an old British base and research station on the harbour of Port Lockroy, exciting! 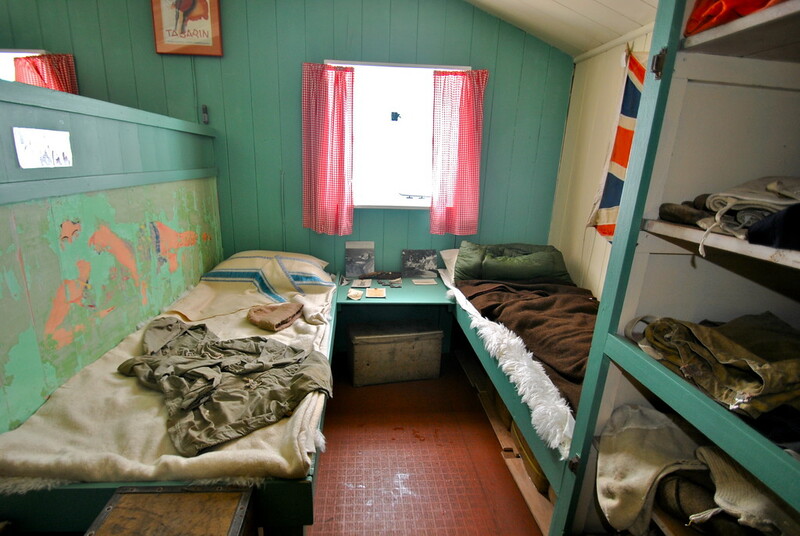 Positioned on the shore of Wiencke Island, the base was abandoned in 1962 and is now a museum and post office operated by the United Kingdom Heritage Trust. With little change from the time it was in use, it was fascinating to walk around the base and get a real sense of what it was like to live on Antarctica. 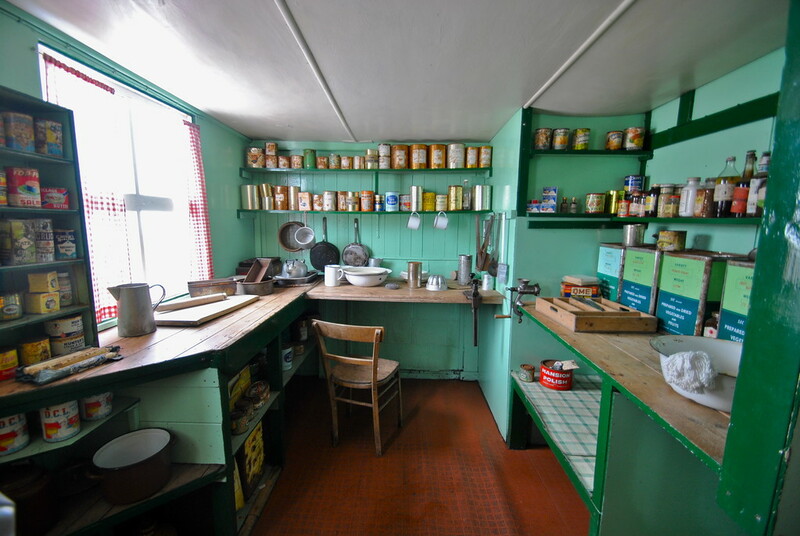 Much like going back in time, the kitchen was well stocked with food rations (including a bread maker! ), the large dining room still adorned with quaint period furnishings, basic sleeping quarters and a small research lab containing original instruments used by the scientists. I can imagine after 1 or 2 years there, it would be easy to get fed up looking at the same posters on the wall and eating the same tinned tuna! After a break for lunch, we sailed a little further along the Peninsula to reach our afternoon destination, aptly named ‘Paradise Bay’. Here we tackled our first hike of the trip through deep snow up to the highest point, where we admired the beautiful view, the penguins below us and surrounding calm Antarctic waters. 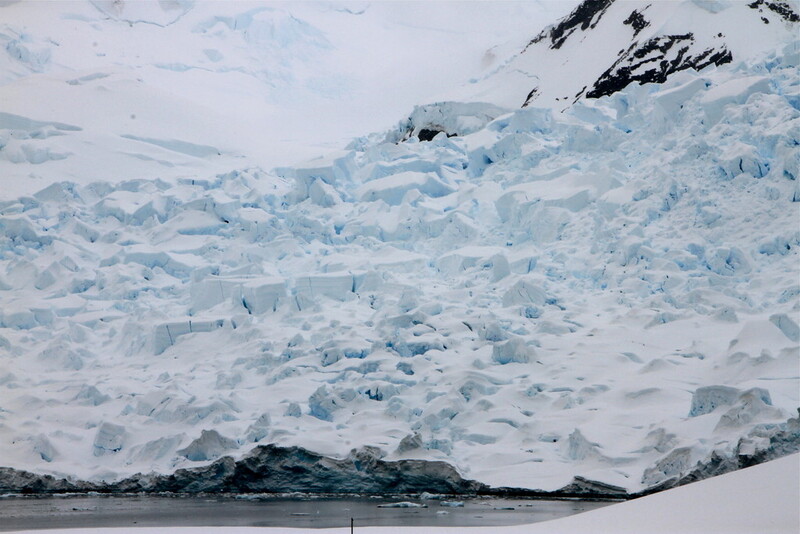 Following our time on the harbour, we spent an hour cruising around the gigantic glaciers that littered the bay. 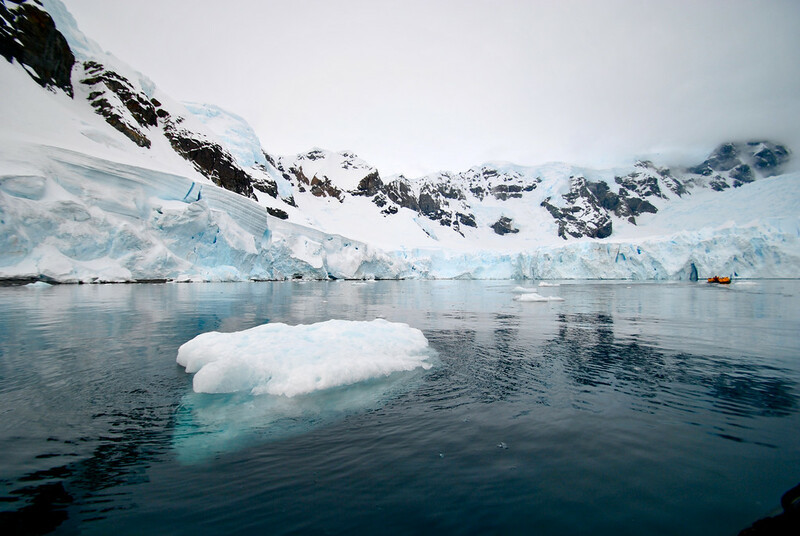 Every so often, our guide would cut the engine of our zodiac to enjoy the tranquility and beauty of the place, with the silence only occasionally interrupted by huge chunks of ice crashing down into the water from the melting glaciers around us – amazing! Alas it was time to head back to the ship. 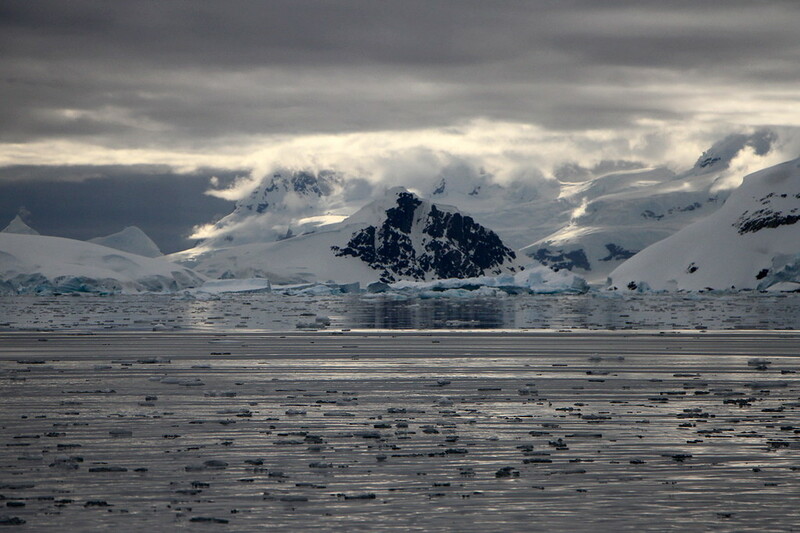 The dark clouds started to roll in, the temperature dropped dramatically and the whites of Antarctica changed dramatically to dark greys, it was incredibly atmospheric. 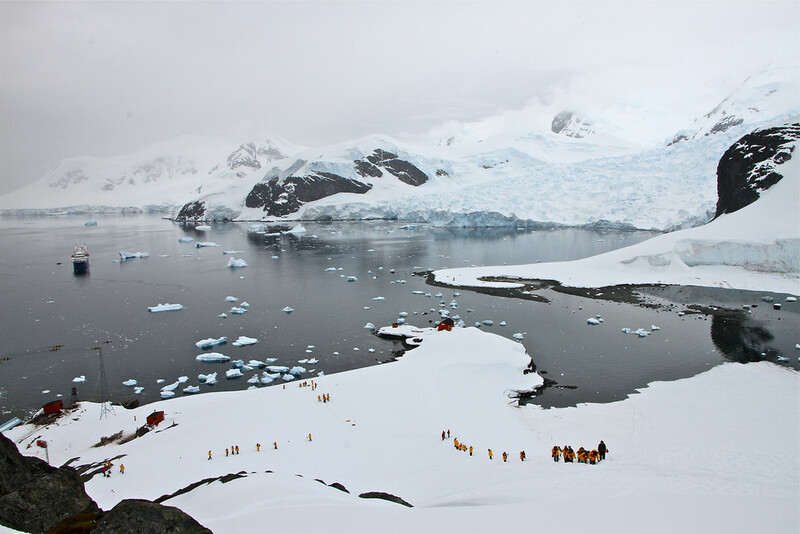 It was another brilliant day of excursions on the continent, and we were delighted to witness first hand the art of penguin stone stealing, hear the sounds of glacier falls and visit an old British Antarctic research base. After such an exciting day, a night in our comfortable warm beds on the Quark Expeditions ship was very appealing! However, we had other plans. With a nod from our captain confirming suitable weather conditions, we would be returning to the continent that evening to camp without a tent! So after an early dinner, we prepared ourselves for our cold night under the stars (or as it turned out, under the sun)!